Acquiring the Maxwell plant in 1924, the first Chrysler cars came off the line late that year. Featuring four wheel hydraulic brakes, steel body construction, and a powerful six cylinder engine, Chrysler cars caught on quickly. 1928 was a significant year for the company. First, the Chrysler Corporation acquired the Dodge Brothers Motor Company, along with its 3,000 franchised Dodge dealers. Then came the brand new Plymouth to compete head to head with Ford and Chevrolet in the low price field. 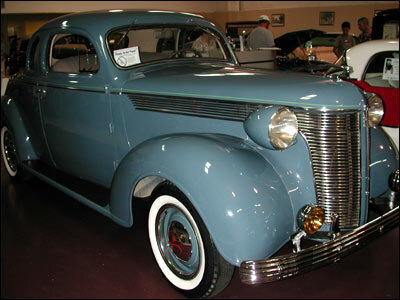 And finally DeSoto, was the first DeSoto models introduced to the public in 1929.